The Valiant(Four Months) : Was kicked from raid team for not giving proper notice of me moving and not showing up for raids for three weeks. 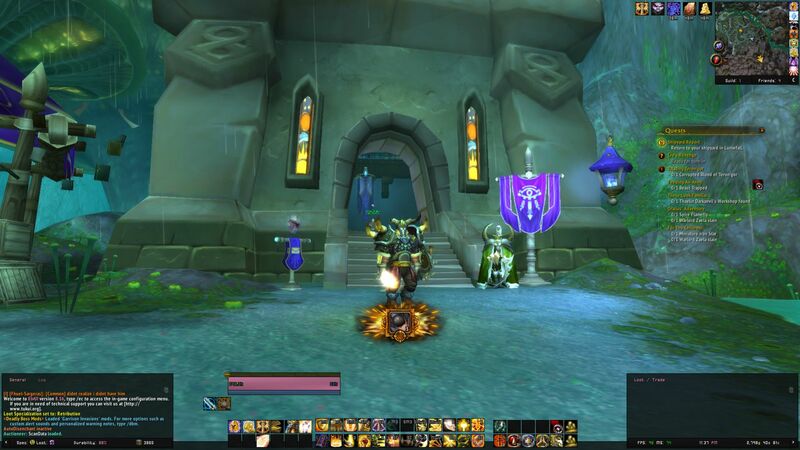 The War Council(One Year): I left due to my daughter being born and not being able to make it to there raid times. Land Raiders(6 Months): I left due to poor raid leading. About how long is the application process ? Sorry about not much information Talz, I was a bit slow checking new applicants despite Wind poking me. I'd like if you could work on the new Tanaan Jungle a bit more, get at least 650 in all your gear slots, you are quite behind to be able to hop into the new raid with us right now. Your spec is a bit outdated as well, I will talk to other officers about an invite to help you maybe have somewhere to chat/ask questions but as far as raiding you need to put a bit more work in. The new zone lets you get 650-655 in all slots with ability to proc 675 or buy a token to make then 695, as well as 705 drops from Supreme Lord Kazzak and the new LFR. Try to flesh out your gear more - remember that the stat priority when looking for upgrades for Prot is Bonus Armor (neck/cloak/rings/trinkets) > Haste > Mastery > Crit/Versatilty/Multistrike. If you go with Empowered Seals you can stop haste at around 1300 to focus more on mastery (it'll be 50% in raid, the "soft cap"). Also glad to see you have a Ret spec, there isn't really a fight in game where you need 3 tanks consistently so very often you'll be an odd-man out and need to dps. We try to rotate who does what but some people prefer one spec to another. We are almost mostly focusing on getting a few classes and Paladin is lower on the priority list.